Have you taken out an insurance policy with Vanbreda Risk & Benefits for your medical expenses and are looking for an online platform where you can easily store all your documents? 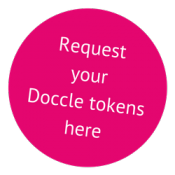 Doccle is a free online platform where you can store all your correspondence relating to your medical plan in digital form, rather than saving it on paper. Each time a new document arrives, you will receive an alert e-mail informing you that you have post in your digital letterbox.